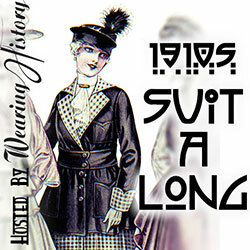 I love to read blogs about historic costumes, and since I make a lot myself, why not share? I will try to share tutorials, made by me and others. I start at Aarhus University this summer,where I’m going to study Medieval and Renaissance Archaeology. Great blog, lots of lovely things to read! Thanks for visiting our blog! We’re glad you liked our tutorial! Looking forward to visiting your new blog as well!